For the 16th consecutive year, DJ:Plus! Entertainment has been extremely proud and humbled to be nominated by the wonderful brides & grooms that decide to give me the ultimate privilege of placing their trust in me for their very special day. Looking back over these years, DJ:Plus! Entertainment is the only DJ to be a finalist or winner each year over this entire period (whilst MC services have always been provided, in the early days, it was not possible to be in two categories, but once again, has been in every year since possible). This on it’s own shows that the service delivered is consistently high and continuously being improved. My couples mean the world to me and giving them the day of their dreams and a beautiful beginning to a life long loving marriage is what drives me. Their love for each other is the thing of the most importance. They allow me into their lives and permit me to get to know them a little better, they share their hopes and fears with me and in doing so they touch my heart and allows me to share the love amongst their family and friends and that makes me very happy!! It is said that creating a wedding is like producing a movie. The Motion Picture Academy Awards are acknowledged throughout the world as a means of determining the best leading lady and man (Bride and Groom/Director and Producer), the best supporting cast (the Bridal Party) and the best cast (the wedding Guests). The Australian Bridal Industry Academy Awards are also acknowledged throughout Australia as a means of determining the best wedding crews, the people and businesses behind the scenes who bring one of the greatest events in a couple’s life to fruition. On Tuesday the 6th of December 2016, the Australian Bridal Industry Academy hosted the 20th New South Wales Annual Bridal Industry Awards at the exquisite Dockside Cockle Bay as a means of determining the best wedding crews in New South Wales. A total of 37 categories were acknowledged for the contribution, which they make to the wedding industry. A grand total of 6,416 New South Wales couples selected 423 nominees, 290 finalists and 37 winners. 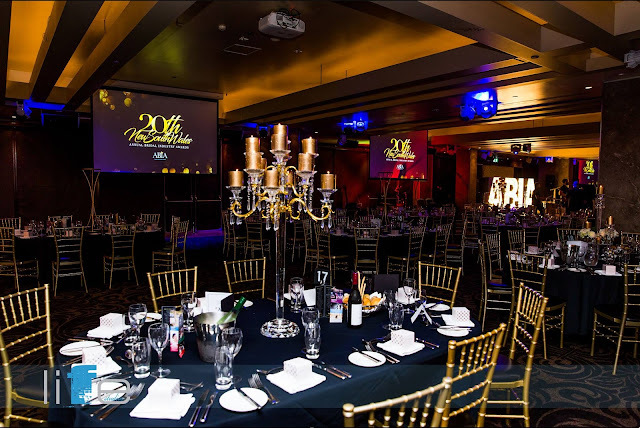 Representing location venues, camera people, beauty stylists, fashion designers, musicians and entertainers, transport, jewellery, set designers and stylists, food and catering, hire and special services for what was a spectacular showcase of New South Wales’ Best V.O.W.S. (Vendors Of Wedding Services). The Chairman of ABIA, Mr John O’ Meara congratulated DJ:Plus! Entertainment as a Finalist of the Australian Bridal Industry Academy Award. Mr O’ Meara went onto say that it was businesses like DJ:Plus! Entertainment which enhanced and enriched the industry, through their tireless pursuit of excellence in Designing the Dream for each and every one of their unique wedding couples. On behalf of all the New South Wales couples who tied the knot over 2015/2016, we say thank you DJ:Plus! Entertainment for the passion, pride and professionalism which you bring to the wedding industry and the assistance, advice and support which you bestow upon the future brides and grooms of New South Wales.